Always dapper and debonair, the Black Silk Bow Tie is the perfect finishing touch for any formal look. Always dapper and debonair, the Black Silk Bow Tie is the perfect finishing touch to any formal look. 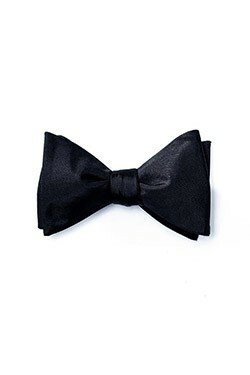 A classic menswear staple, this bow tie will look great with any tuxedo.